Sensational serial thrills along the flaming frontier as redskins and renegades try to stem the tide of empire. This was the last American action serial. It starred Lee Roberts and Dennis Moore utilizing stock footage and some new scenes. 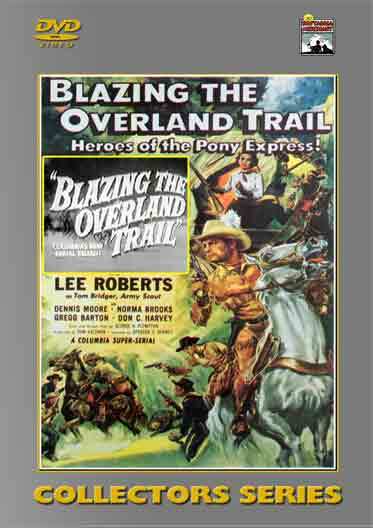 An army scout and a pony express rider come to the aid of settlers terrorized by a greedy rancher-turned-outlaw. 2 DVD Set. – 15 Chapters (1956).